With so many new terms for liposuction, how does one determine what type is the best? Tumescent, Ultrasonic, Smart lipo, Vaser….and more. What do they all mean? There are many new liposuction machines made by companies that spend a lot on advertising for the “latest and greatest”. They place these machines in offices of non-plastic surgeons with the promise that they will build a successful aesthetic practice. The training they offer with these machines is many times only one or two weekends. It is important to remember that your results are dependent on your surgeon, not the particular machine. 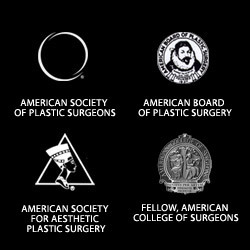 So be sure that you find an experienced Board Certified Plastic Surgeon, who can show you many before and after photos of actual patients. Tumescent is the mode of anesthesia, not the liposuction. Most surgeons use tumescent fluid to numb the area. UltrasonicLiposuction (UAL) is ultrasound waves that are internally applied to the fatty tissue in order to liquefy the fat to make it easier to remove. Some possible complications from ultrasound are burns and seromas that you don’t get as often with the more traditional technique. Ultrasonic liposuction is thought to work better in some areas that have more fibrous type of fat, like the back, flanks and the chest for men being treated for gynecomastia. 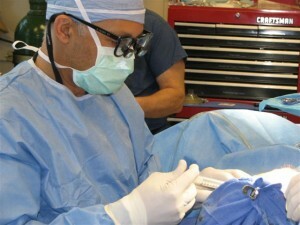 Many surgeons will use a combination of liposuction types depending on the areas to be treated. Smart Liposuction is just a marketing term for laser assisted liposuction. It uses a laser light to emulsify the fat. Vaser Liposuction (Vibration Amplification of Sound Energy at Resonance) uses ultrasonic technology (sound waves) to emulsify the fat because it generates heat during the procedure. Each has its advantages and disadvantages. There has not been a scientific study to prove that “smart” liposuction or “laser” liposuction is better than conventional liposuction. Again it is more important to find a well qualified Board Certified Plastic Surgeon and know that your surgeon is using the method that works best for him or her to get the best results for you. This entry was posted on Monday, December 20th, 2010 at 11:04 am	and is filed under Body Contouring, Body Sculpting, Home. You can follow any responses to this entry through the RSS 2.0 feed. Both comments and pings are currently closed.